We're always keen to hear from talented, dedicated and ambitious students who want to break into and make their mark in the industry. If you are looking to gain hands-on, practical experience in your chosen field then do get in touch with us! To help us manage the demand from applicants and to ensure that you get the most out of your work experience placement it is our policy to offer work experience placements with our Rural Team in the summer months only. The placement will typically last four weeks (extendable by agreement) during the university summer holidays and will be based in one of our 14 offices in Scotland and Northern England. The placement will give you the opportunity for site visits, to attend client meetings, write reports and conduct research. You will be invited to attend departmental meetings and training days to meet and network with our wider team. 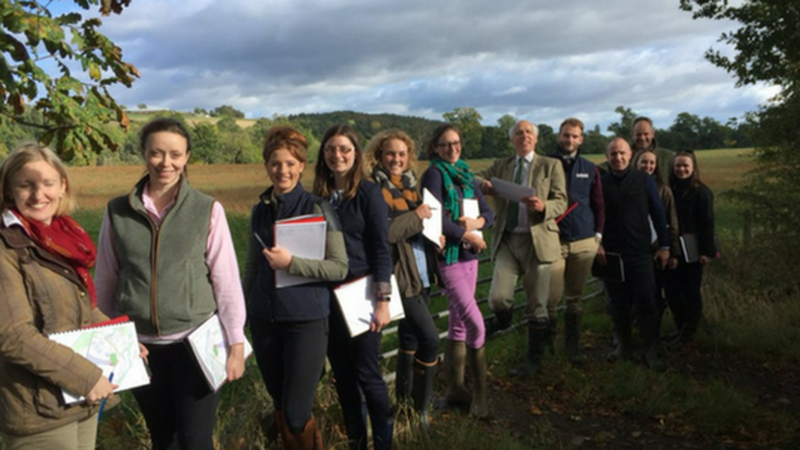 Applications for our 2019 Rural Work Experience Programme are currently closed and will be opening in Spring 2020. My work experience placement at Galbraith was useful and constructive and ultimately set me up for a graduate job. We asked one of work experience students to tell us a little bit more about their experience with us - you can read what they said here. Applications for work experience with our other teams are accepted throughout the year on a rolling basis. To apply for a placement please email workexperience@galbraithgroup.com with a covering letter detailing which sector you are interested in, which dates you are available, your preference for location and a copy of your CV.